Dr. Soltani, M. (2627). Effect of Amplitude and Mean Angle of Attack on the Unsteady Surface Pressure of a Pitching Airfoil. 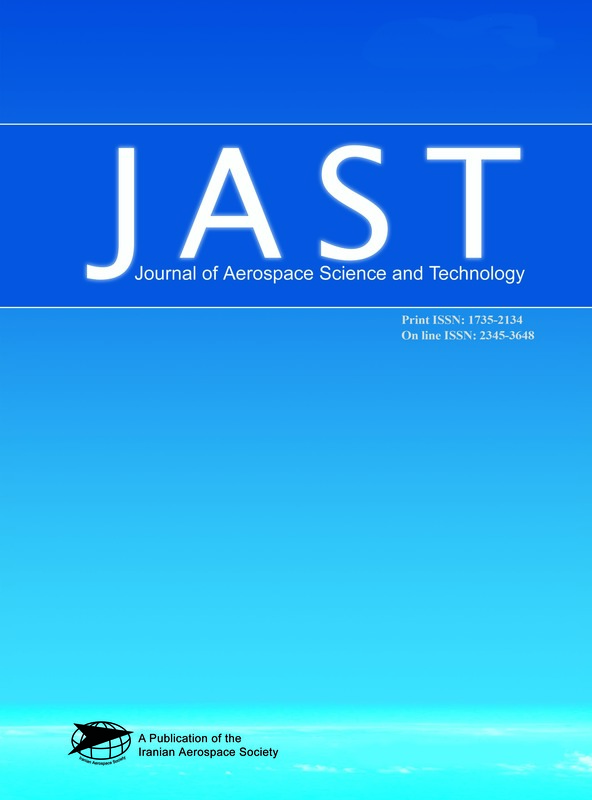 Journal of Aerospace Science and Technology, 2(4), 9-26. Mohammad Reza Dr. Soltani. "Effect of Amplitude and Mean Angle of Attack on the Unsteady Surface Pressure of a Pitching Airfoil". Journal of Aerospace Science and Technology, 2, 4, 2627, 9-26. Dr. Soltani, M. (2627). 'Effect of Amplitude and Mean Angle of Attack on the Unsteady Surface Pressure of a Pitching Airfoil', Journal of Aerospace Science and Technology, 2(4), pp. 9-26. Dr. Soltani, M. Effect of Amplitude and Mean Angle of Attack on the Unsteady Surface Pressure of a Pitching Airfoil. Journal of Aerospace Science and Technology, 2627; 2(4): 9-26. Details of pressure distributions, on a two dimensional airfoil oscillating in pitch through stall, in a 0.8 0.8 m low-speed wind tunnel are presented. Pitching occurred about the airfoils quarter-chord axis. Pitch rate, Reynolds number, and oscillation amplitudes were varied to determine the effects on pressure and lift distributions. It was found that mean angle of attack and pitching amplitude had strong effects on the flow field hence pressure distribution in the immediate vicinity of the airfoil leading edge, . For pressure ports located at , the aforementioned effects were not strong and seemed that during the oscillatory motions the flow was mostly separated. This investigation shows weak unsteady effects when the maximum dynamic angle of attack was below that of the static stall; i.e. . For higher angles of attack, strong unsteady effects appear that depend on the mean angle of attack, frequency and amplitude of the oscillation. Dynamic stall and dynamic reattachment contribute to a favorable effect of unsteadiness on the surface pressure signature and hence the mean lift coefficient which increases as compared to the steady state one.